The Board dismissed this opposition to registration of the mark OUCARE (Stylized) for various medical apparatus, including blood pressure monitors, lancets, and therapeutic beds, finding the mark not likely to cause confusion with the registered mark OU and formatives thereof for entertainment, and sports services, assorted clothing, and various other goods (none including medical apparatus). Furthermore, since Oklahoma failed to prove its marks famous for Section 2(d) purposes, it perforce did not meet the higher fame standard for dilution, and so the Board also dismissed OU's dilution claim. The Board of Regents of the University of Oklahoma v. K-Jump Health Co., Ltd., Opposition No. 91224288 (July 5, 2018) [not precedential] (Opinion by Judge Cindy B. Greenbaum). Strength of OU mark: The Board found the OU mark to be distinctive and conceptually strong for educational services, but there was insufficient evidence to show that it is commercially strong. 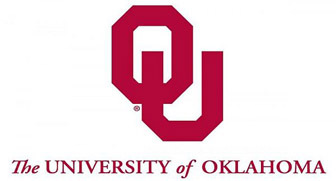 Oklahoma submitted printouts from its website, but those were of limited probative value (largely hearsay), and there was no evidence regarding consumer exposure to and recognition of the mark OU in connection with educational services. This du Pont factor slightly favored opposer. The marks: The fact that Oklahoma’s mark is incorporated in applicant’s mark increases the similarity between the two. The Board noted the prominence of the letters OU and their placement as the initial element of applicant’s mark. It also found that the marks "have the same arbitrary connotation and ... they create the same commercial impression, i.e., the letters 'OU.'" Although the word "CARE" distinguished applicant's mark somewhat in appearance and sound from opposer's mark, the Board concluded that this distinction "does not significantly outweigh the overall similarity of these two marks." The Board found that the first du Pont factor weighed in favor of a finding that confusion is likely. Goods and Services: The Board agreed with Oklahoma that the services identified in its registration are worded broadly enough to encompass educational services in the field of medicine. It also agreed that patients, medical staff, and medical students would use many of the medical apparatus identified in the application. However, there was no evidence to support a finding that those goods and services are commercially related. Opposer Oklahoma pointed to 12 use-based, third-party registrations of marks owned by colleges and universities, as well by the Mayo Foundation, but none of the registrations are for marks (or variants thereof) that identify both medical education services on the one hand, and medical apparatus similar to the apparatus identified in the application, on the other. Oklahoma failed to provide any evidence that the identified goods and services travel through the same channels of trade to the same classes of consumers. As to opposer's services, the Board inferred, despite the lack of evidence from opposer, that the relevant purchasers are likely to exercise a high degree of care when making their purchasing decisions. Similarly, "at least some of the medical apparatus identified in the application, such as heart pacemakers and vacuum pumps for medical purposes, would be bought by purchasing departments at hospitals and nursing homes, who also would be expected to exercise a high degree of care." However, medical apparatus such as digital thermometers and blood glucose meters could be purchased by ordinary consumers for home use. There was no evidence that the identified goods and services move through the same channels of trade to the same customers. but the Board found that to the extent there is any overlap, this factor is neutral. Conclusion: Because Oklahoma failed to provide evidence to support a finding that goods and services are related and move in the same channels of trade, the Board found that Oklahoma failed to carry its burden of proof, and so the Section 2(d) claim was dismissed. Dilution: Since the evidence was insufficient to support a finding of commercial strength for purposes of likelihood of confusion, it also was insufficient to support a finding of fame of dilution purposes, which requires a much more stringent showing. Therefore the Board dismissed the dilution claim. TTABlog comment: Things were not OK for Oklahoma.